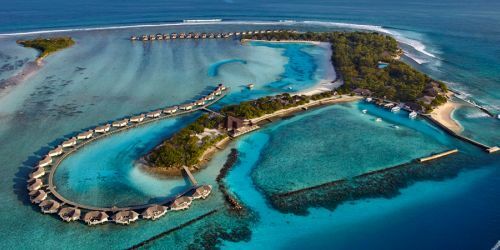 The Resort is located opposite the famous left hander wave of Lohis, one of Maldives's most famous breaks, accessible only to the customers of the Hudhuranfushi Resort! 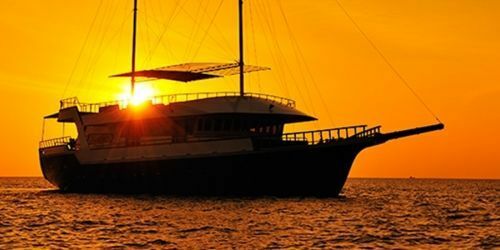 You can choose to stay in Beach Bungalows or Ocean Villa; ours is an all-inclusive package: All Meals, Soft Drinks and Alcohol (Whiskey / Brandy / Gin / Vodka / Rum, Wine, Beer and Cocktail) are included in the package price as well as the round-trip airport transfer. Non Surfer/s in the room wil get a 304€ per adult / 152€ per child (02 to 11.99 Years) per week credit and this will be deducted from the final bill during the Check out. This credit can be used against the F&B, Spa, Water Sports, Diving. Resort will not refund any non utilized credit. 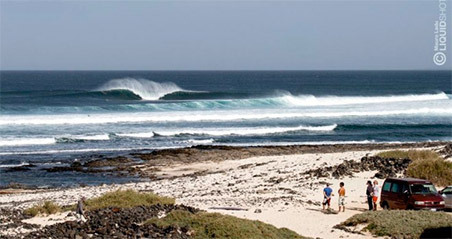 NEWS: The resort has limited the number of 45 surfers per week. 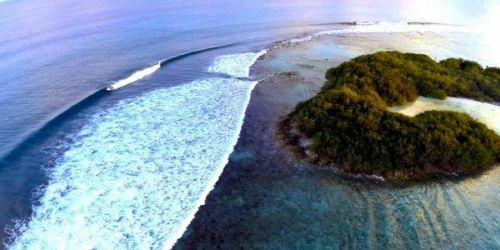 It is necessary to buy a surfer pack for those who want to surf Lohis and the spots of North Male. The Surfers Pack includes all transfers to the outer reefs of North Male. *SPECIAL DISCOUNT: Discount for the Completed Stays during the period 01 /March/ 2018 to 31 /May/ 2018 (Including both dates/Both arrival and departure date should fall inside the offer period). EARLY BIRD DISCOUNT: Discount for bookings to be reported by 28 /February/ 2018 for the travel period 01 /March/ 2018 to 30 /Apri/ 2018. Both discounts are combinable. **CREDIT FOR NON SURFER: Non Surfer/s in the room wil get a 304€ per adult / 152€ per child (02 to 11.99 Years) per week credit and this will be deducted from the final bill during the Check out. This credit can be used against the F&B, Spa, Water Sports, Diving. Resort will not refund any non utilized credit. Prices can change due to € / USD exchange rate. *SUPER EARLY BIRD DISCOUNT: Discount for bookings to be reported by 28 /February/ 2018 for the travel period 01 /September/ 2018 to 30 /November/ 2018. NORMAL EARLY BIRD DISCOUNT: Discount for bookings to be reported by 28 /February/ 2018 for the travel period 01 /June/ 2018 to 31 /August/ 2018 OR discount for bookings to be reported from 01 /March/ 2018 to 31 /May/ 2018 for the travel period 01 /September/ 2018 to 30 /November/ 2018. SMALL EARLY BIRD DISCOUNT: Discount for bookings to be reported from 01 /March/ 2018 to 31 /May/ 2018 for the travel period 01 /June/ 2018 to 31 /August/ 2018. *SUPER EARLY BIRD DISCOUNT: Discount for bookings to be reported by 28 /February/ 2018 for the travel period 01 /March/ 2018 to 30 /Apri/ 2018 & 01 /September/ 2018 to 30 /November/ 2018. NORMAL EARLY BIRD DISCOUNT: Discount for bookings to be reported from 01 /March/ 2018 to 31 /May/ 2018 for the travel period 01 /September/ 2018 to 30 /November/ 2018. *SPECIAL DISCOUNT: Discount for the Completed Stays during the period 01 /March/ 2018 to 31 /May/ 2018 (Including both dates/Both arrival and departure date should fall inside the offer period). 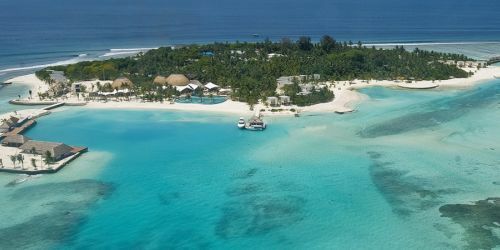 Private Speedboat Transfer: Included in the Hudhuranfushi resort pack, we offer Airport/Resort Return Transfer, with private resort speedboat.